When Ann and Bob were typical California kids filling notebooks with musical sketches (including ideas for their magnum opus: Millikan’s Symphony), little did they realize how that would eventually turn out. Ann never stopped composing and her brother Bob became a major epidemiologist, vet, violinist, and rowing enthusiast. When he died at the age of 55 it was time to bring all those threads together in one musical homage. The opening movement of Ann’s symphony, Science, models the molecular genetic battle going on in a breast cancer tumor. The second pastoral movement, Animals, pays tribute to his years in veterinary medicine and his life as an avid outdoorsman. Rowing, the third movement, brings the rhythms and splashes of a boat race (specifically the Millikan Cup race founded in his honor since he had been faculty advisor to the University of North Carolina-Chapel Hill Crew) to life in orchestral terms. The extensive finale, Violin, amounts to an elegiac violin concerto in its own right and is a fitting conclusion to a life cut all too short.The symphony may be heard without detailed knowledge of the stories behind the sounds but is all the richer when the listener appreciates the community effort behind the collaboration, Ann’s passionate work with microscopes and stopwatches to dig deeper, and the impressive human all-rounder that gave rise to such an outpouring. St. Paul-based Ann Millikan’s music has been described as “tonally challenging yet emotionally involving” (Joseph Woodard, LA Times), “packed with propellant polyrhythmic textures” (New Sounds, WNYC), and “characterized by high energy and a quirky inventiveness that defies easy categorization...Her scoring is clean and transparent and her felicities of orchestration are among the most attractive elements in her work.” (Stephen Eddins, All Music). 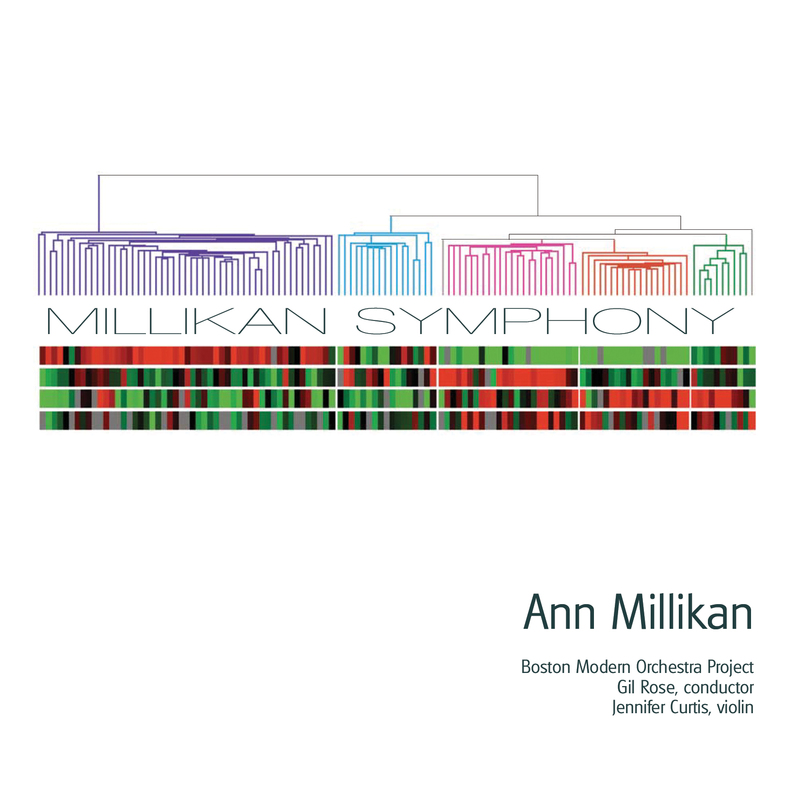 Ann Millikan composes concert music for orchestra, chamber ensembles and choir, opera, and experimental and interdisciplinary projects involving installation, theatre and dance. Rhythmic vitality is a powerful force in her music, stemming from previous years playing jazz, African and Brazilian music. Known for her collaborative projects that connect deeply with community – story, history, and culture are often an impetus behind her work. "an eloquent eulogy for an adventurous and wide-ranging, multifaceted personality."